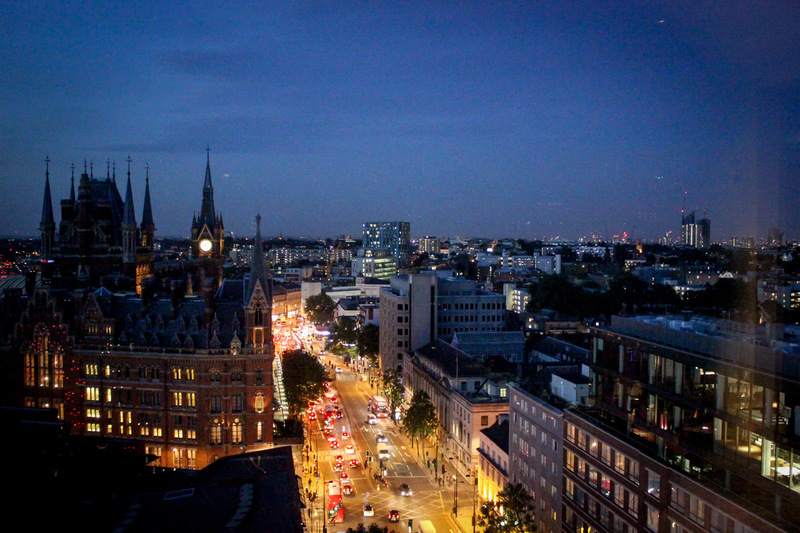 I arrived at the Hotel Pullman London St.Pancras feeling rather frazzled about being late but my worries were instantly eased with a glass of bubbles under the dazzling lights of the hotel lobby. After getting to know some of the other bloggers attending this mixology class we were ushered into the Golden Arrow Bar to begin. The team looking after us for the night were fantastic. Everything was explained so clearly and all of the equipment set up perfectly for our needs. That being said I was thankful for the menu (which doubled up as a recipe) they had provided for us, especially given our lack of concentration during the demonstrations (we were too busy chatting, oops). 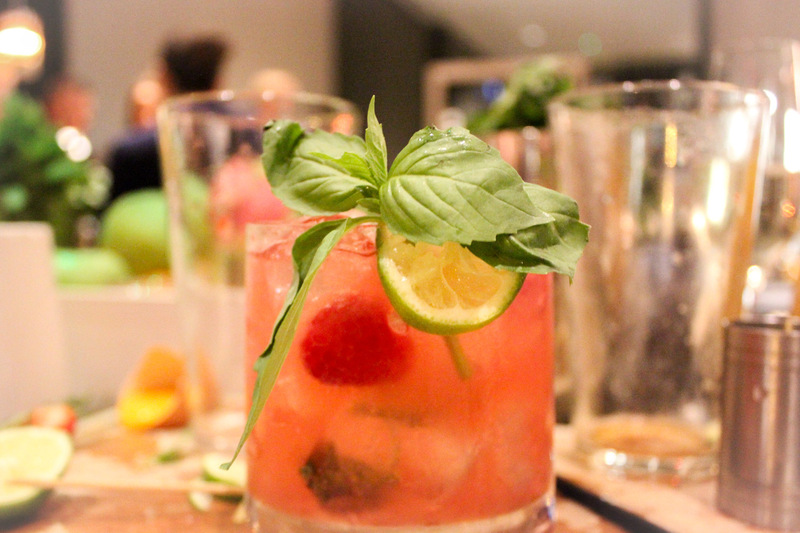 We made four cocktails over the evening and I was delighted that this masterclass was based around rum (my favourite). 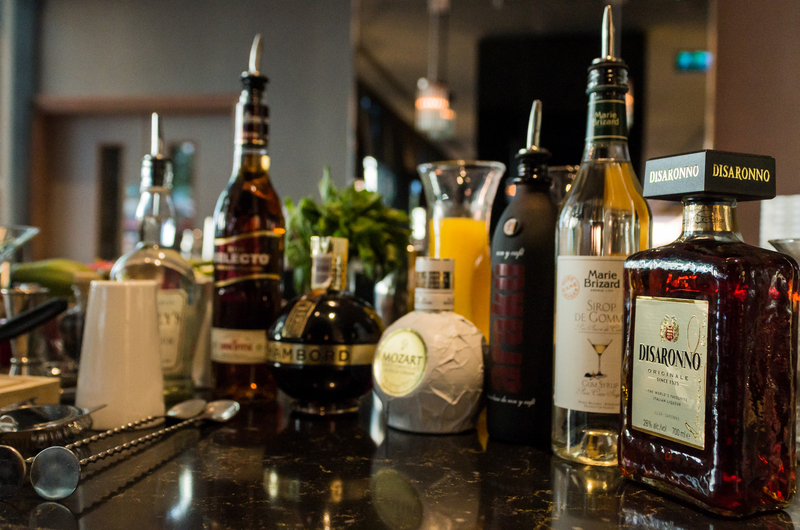 Each masterclass they run is based around one spirit either gin, vodka, bourbon, or rum. We started off with ‘Jump Into Guatemala’ a rum and amaretto cocktail with fruit juice. I’m no stranger to cocktail making from my bar tending days and got straight into the shaking rhythm. However, I still have a lot more to learn about the art of decorating. After being given more freedom to experiment with decoration things began to hot up. Our last two cocktails were being judged for the competitions they were running that night. 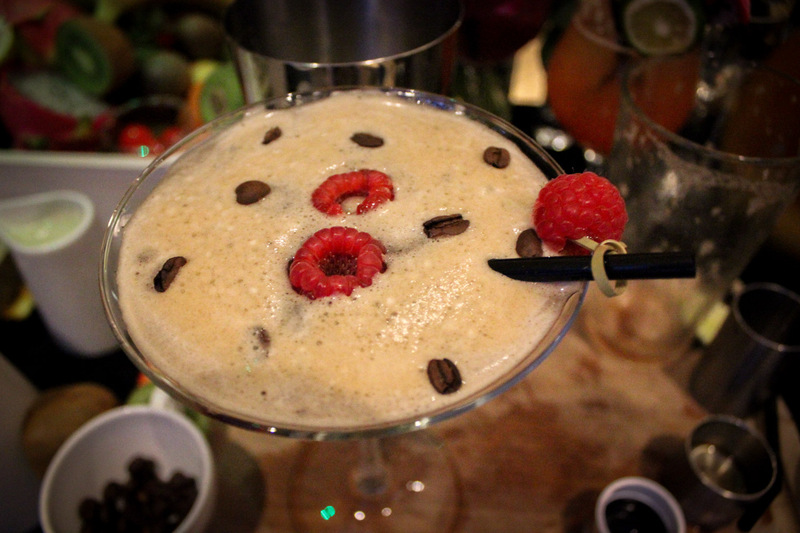 And this third cocktail a ‘raspberry expresso martini’ was one of my favourites to make. Thankfully they had prepared the expresso shot for us and it was just a case of adding the ingredients together and getting our shake on. 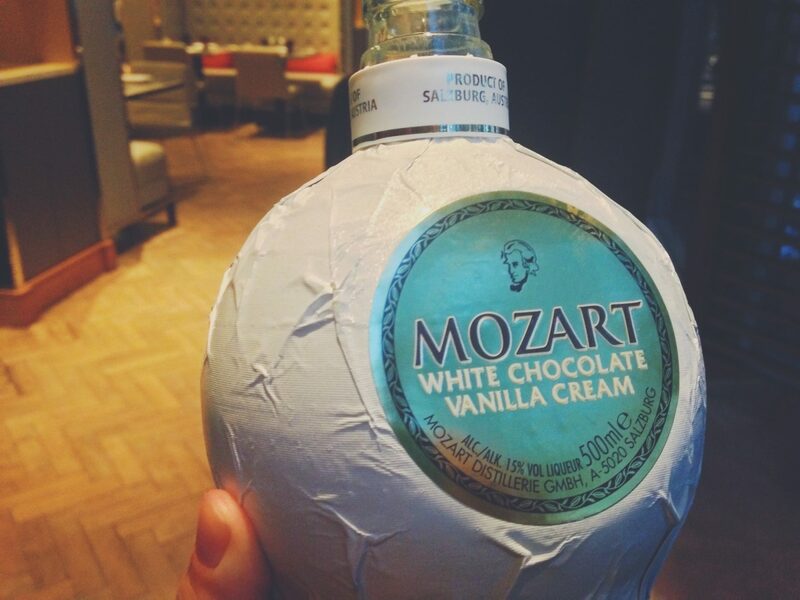 Here I encounter the best liquor I have ever smelt or tasted: Mozart white chocolate vanilla cream, needless to say more of this went in that was meant to. 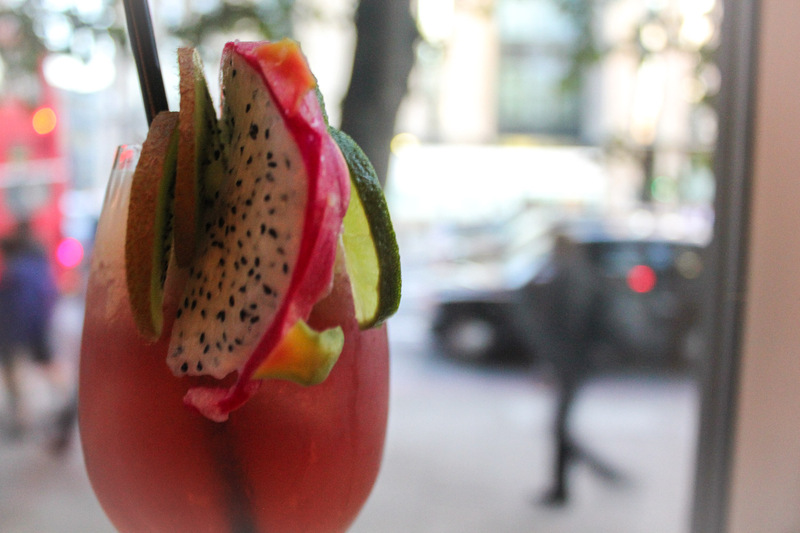 The final cocktail for us to make was a ‘Basil Pullman’ and this was probably my favourite cocktail of them all. Made with white rum until like all of the other cocktails and mixed with Chambord and sweet and sour flavours, this was my perfect kind of cocktail. Needless to say it was drunk pretty soon after being made. Over the two hours of mixology we made four cocktails and learnt many secrets to creating successful blends of flavours. The demonstrations were a perfect length of time and didn’t feel like an interruption to the process. It was very useful to have the staff on hand for any questions or misunderstandings though. We were given a good amount of time to make and decorate each cocktail and the whole evening felt very relaxed. This was the first cocktail class I have done where it hasn’t been for work purposes and it was certainly a lot more fun. 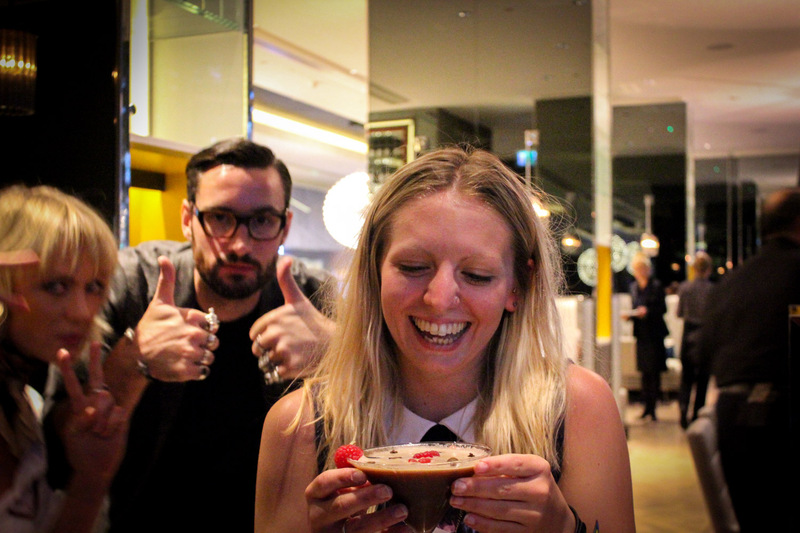 We had such a laugh making and occasionally failing at these cocktails. I would love to attend something like this with friends or it would be perfect for a hen do. 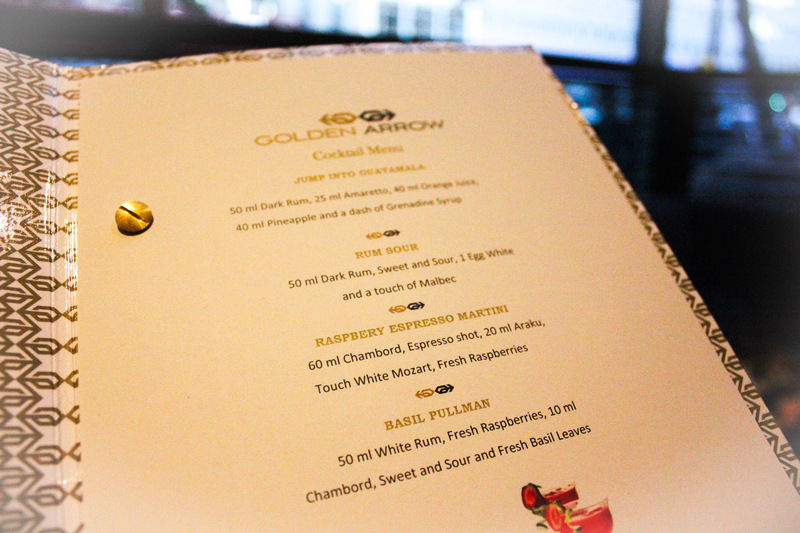 The Golden Arrow bar is a classy and stylish location on the ground floor of the Hotel Pullman London St.Pancras. 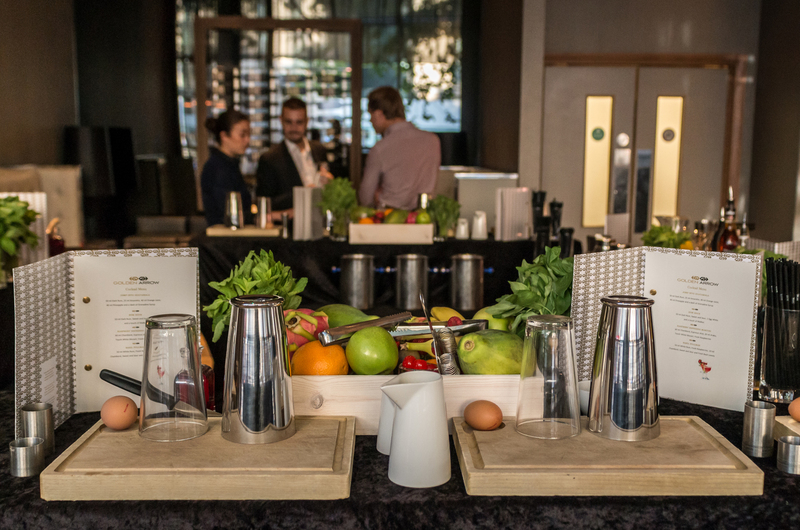 They not only run awesome cocktail masterclasses but serve food and drink everyday. 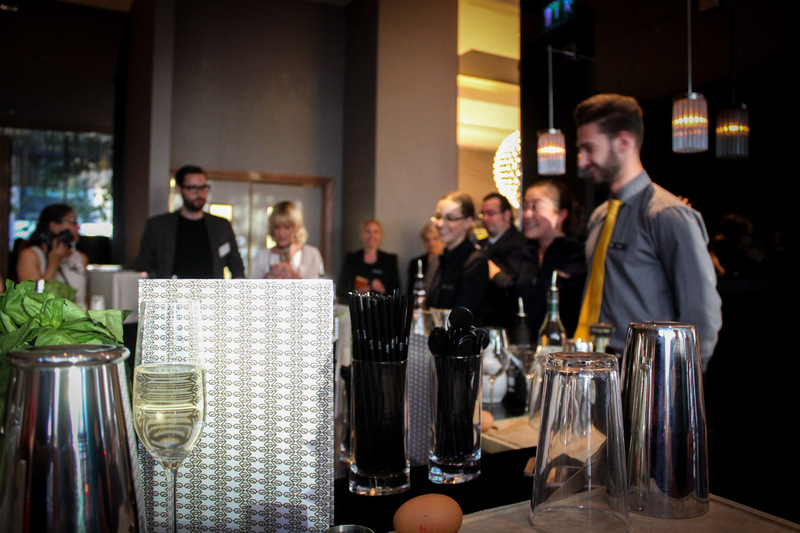 During our evening at the cocktail masterclass we were also treated to a tour of the hotel itself. This included its very own theatre, glass lift and incredible views from the top floor. I was genuinely surprised at how good these were, especially as I had just visited The Shard and Duck and Waffle earlier that week. Mixology classes at the Golden Arrow Bar of the Pullam Hotel cost £35 per a person and require a minimum of four people to run. You can find out more information about the classes here. If you would like a personal experience with plenty of emphasis on fun then I would recommend this class. 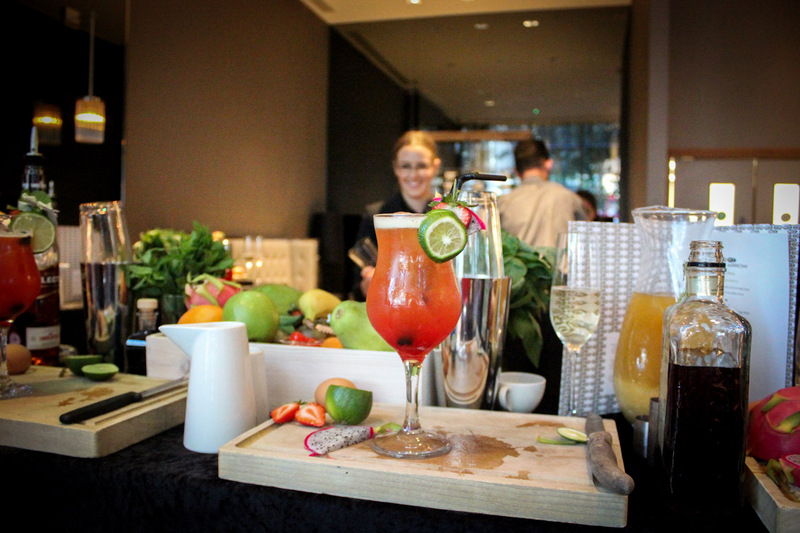 I was a guest of Accor Hotel for this masterclass but all opinions and love of cocktails are my own. Ah Jodie this looks like so much fun! 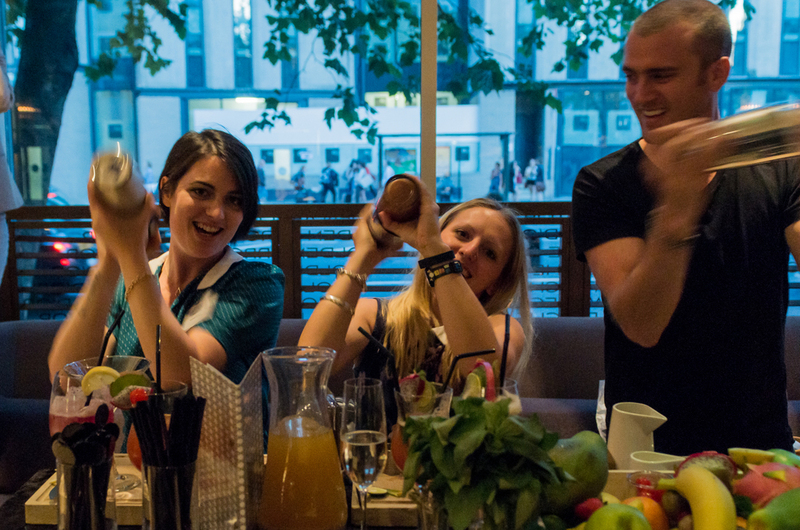 I’ve always wanted to do a cocktail class in London! Ooh I want to try!